Enter the home of Minara Begum and you’re promptly offered a glass of her famous Bangladeshi tea to go with an aromatic plate of food featuring amaranth greens, cilantro, and taro root — traditional crops from her native South Asian country that she grows in her Detroit backyard. Being a generous host is second nature for Begum. She grew up in a rural village in Bangladesh, where the doors were always open for neighbors who could pop in to share a meal and where fresh ingredients were growing just outside. Now, living in Detroit’s Banglatown neighborhood, she and a growing number of other immigrant women are using that homegrown hospitality to satisfy their families’ needs — and contribute to the city’s burgeoning dining scene. That’s one of the many aims of Bandhu Gardens (Bangla for Friendship Gardens), a network of backyard gardens harvested by six families. These women-led gardens supply each household with enough produce to store and last through the year. The produce also finds its way into the kitchens of some of the most popular restaurants in Detroit, including Rose’s Fine Food, Katoi, and Supino Pizzeria, as well as retail outlets such as the Farmer’s Hand market. 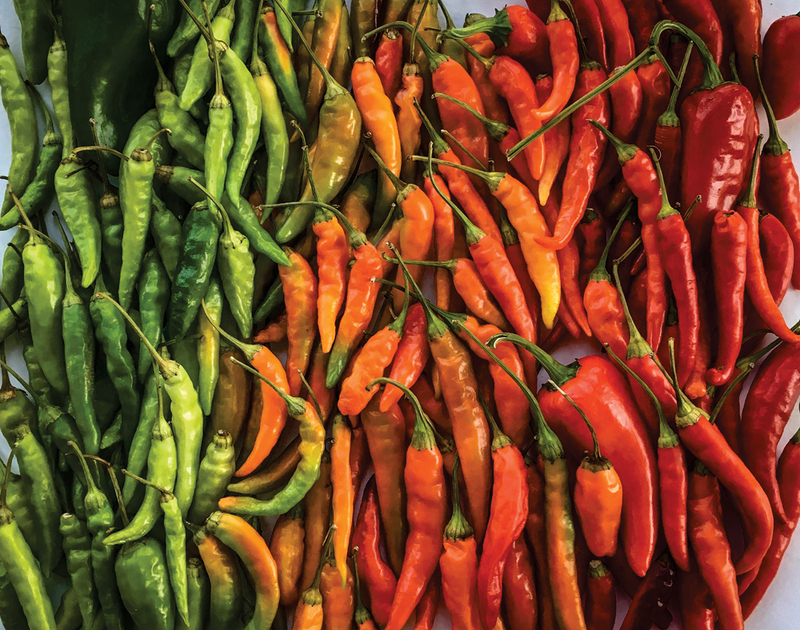 Last year, the women sold about 150 pounds of greens, squash, beans, and peppers to restaurants. The women have also made their way into some of these restaurants, holding regular pop-up dinners with traditional Bangladeshi cuisine and ingredients as the centerpiece of the meal. It’s a title that Staugaitis — a tall, blonde, white, American woman, with a Cranbrook Academy of Arts pedigree — is not quite comfortable with. True, she helps make the connections with restaurants and chefs, but the core of Bandhu Gardens’ initial success stems from friendship and trust — starting with Begum and her. The women met two years ago. They were both brand-new to the neighborhood and hit it off when Staugaitis spotted one of Begum’s children playing in the yard. The women couldn’t communicate, other than with the universal language of food as well as gardening. “We began talking about food by drawing pictures, and before long we became each other’s teachers,” Staugaitis says. Staugaitis noticed the family hierarchy in Begum’s and some of the other immigrant women’s homes. The husbands had an established network for finding work. When a new family moved to the neighborhood, the men would hook each other up with jobs such as light manufacturing in the suburbs, carpool with each other to work, help apply for driver’s licenses, and obtain other practical means to get started in the United States. Many of the women retained their roles as caregivers at home: raising children, cooking, and tending to the house. Begum and Staugaitis slowly started forming that tight-knit sense of community on their own. Staugaitis would accompany Begum to appointments, using her English and car to help her apply for things like health care. In return, Begum taught her American friend Bangla and introduced her to ingredients from her home country. Now, whenever Begum’s two youngest children see Staugaitis around the house, they cling to her about as tightly as they do their own mother. The two women crack jokes in broken Bangla and English and make themselves comfortable in each other’s homes, fixing each other meals between laughter. “I know that if we stopped having a business, we would still be friends,” Staugaitis says. That lifting up of women runs throughout the operation of the gardens. Many of the dining establishments that purchase vegetables from Bandhu are run by women, including Courtney Henriette, who is part of the team behind the Thai-inspired restaurant, Katoi — the popular Corktown restaurant that burned down in a fire in February. At press time, Katoi continues to hold pop-ups around town. 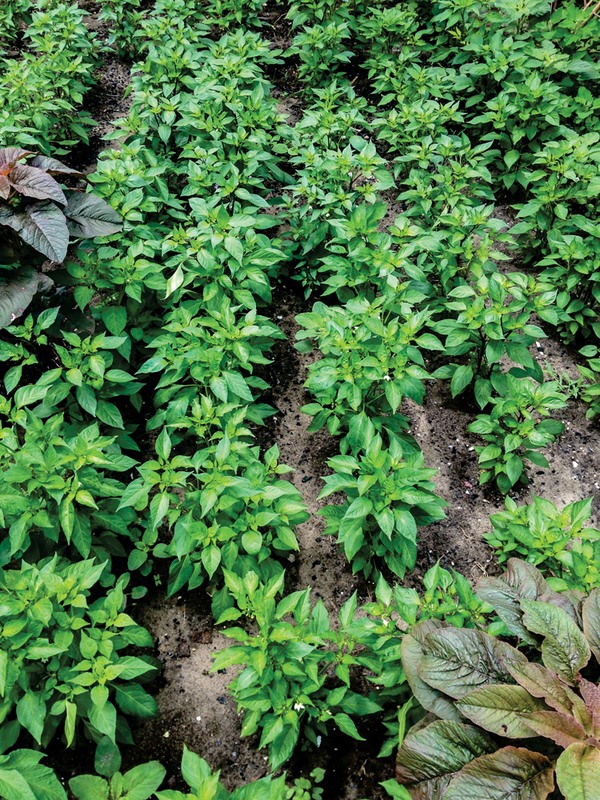 The idea of chefs sourcing their ingredients from local urban farms is nothing new. 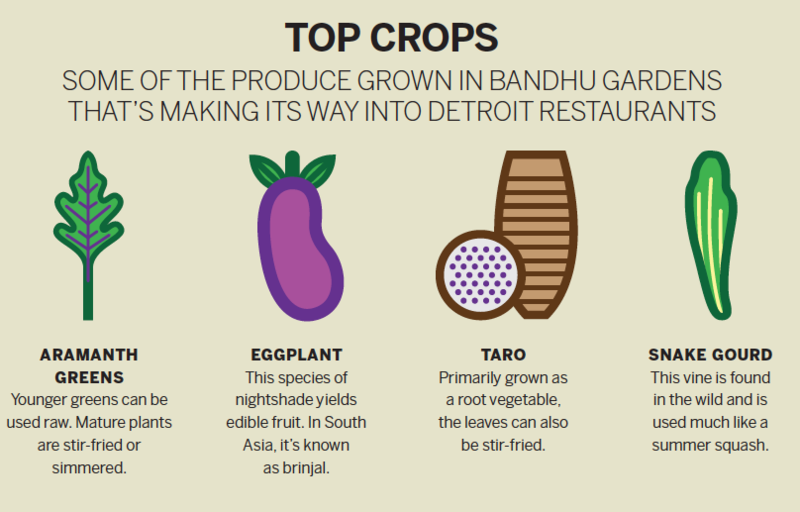 But the use of traditional Bangladeshi produce in Detroit kitchens represents a recognition of the city’s changing demographics and tastes. The Banglatown neighborhood where the two women live borders Hamtramck and is now incredibly diverse. Starting mostly in the 1970s and ’80s, a small number of Bangladeshi immigrants began migrating to the traditionally working-class Polish neighborhood. Today, nearly half of the area’s residents are foreign-born, according to U.S. Census Bureau estimates, and nearly a third are from Bangladesh. Just under 20 percent of residents are African-American; 40 percent are white. In recent years, Banglatown has attracted a growing number of artistic communities, including Power House Productions, the Hinterlands, and the first few Write A House homes for writers. 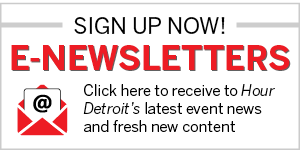 The momentum has caught the attention of the city of Detroit, which earlier this year identified Banglatown as one of a handful of neighborhoods to be studied for redevelopment. Even with the diversity, Staugaitis says it can feel as though each demographic group in the neighborhood is disconnected from the other. If the question is “how do we not just be parallel communities, but connected?” the answer is clearly food, Staugaitis says.